Media accounts about dog maulings by pit bulls have engendered the belief that pit bulls are unique. As a result, municipalities throughout the world have enacted controversial laws banning pit bulls or imposing restrictions on how pit bulls are kept. Are these laws justified? Does animal behavior science support the belief that all pit bulls are necessarily dangerous by nature? Below, I will present some opinions based on my expertise in animal behavior science. Despite the the enactment of breed-specific legislation, little has been published using an evidence based approach from animal behavior science which addresses the question of pit bull uniqueness. Instead, one finds on the Internet many anecdotal accounts by numerous pit bull “experts”. I know the few studies which may be relevant. One recent study gathered evidence suggesting that pit bulls inflict severe dog bite injury at unusually high rates. However, the methodology used to gather data in this study is flawed. 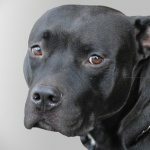 Hence, the conclusions from the study – namely that pit bulls, more so than any other breed, are likely to cause severe injury as a result of a dog bite attack – are questionable. Another evidence-based study demonstrated that accurately identifying a pit bull based solely on the visual appearance is often problematic. Hence, in terms of physical appearance, the looks of pit bull are not unique. For example, many mastiff type dogs are often mistaken as being pit bull. 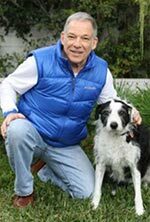 A publication about 30 years ago remains one of the few papers based on animal behavior science which addresses the uniqueness of pit bull type dogs (Are pit bulls different? R. Lockwood and K. Rindy, Anthrozoos, 1988,Vol.1, pp. 2-8.). The ideas presented in this paper are still consistent with current thinking by canine behavior experts. In sum, Lockwood and Rindy believe that the most striking animal behavior difference between pit bulls and other breeds is the willingness of some individuals to fight other dogs. The heightened tendency of pit bulls (along with Jack Russell Terriers) to fight other dogs is consistent with findings from a widely cited study conducted by canine behavior experts at the University of Pennsylvania. Redirection of an attack to another nearby dog or person. Generally, experts are universal in the opinion that the above behavioral traits may make some pit bulls unique. However, these traits are not found in every pit bull terrier or pit bull type dog. I believe that it is likely that some or all of the traits are probably imbued in those pit bull type dogs involved in fatal dog attacks or those instances where a pit bull causes severe dog bite injury to a person. A video of what I’m referring to can be viewed here. And I direct the visitor to learn more about the supposedly inherent dangerous nature of pit bulls elsewhere on this website.